Actual photo of firestorm in Tokyo during a firebombing mission. Courtesy of S. Smisek. Capt. Ray Smisek loved to fly above all else per his son, S. Smisek. Indeed, he was a most capable pilot being the Aircraft Commander (A/C) of a B-29 of the 330th’s “City of San Francisco (SN 44-69800)“, a gleaming silver bird that carried ten other young men. But he didn’t ask to be in that pilot’s seat in 1945 let alone be responsible for ten other young lives. A drawing by S. Smisek showing his father and the crew of the “City of San Francisco” at their respective stations. He had his orders. Orders from General Curtis LeMay. Per Aviation History Online Museum, “the B-29 (initially) had a maximum permissible weight of around 105,000 pounds which was quickly upgraded to 138,000 pounds. During the latter phases of the war with Japan, gross take-off weights of well over 140,000 pounds were fairly common for the Superfortress. If the crew was lucky to return, they would have logged over 15 hours in the round trip from their airstrip on Guam to Tokyo. Wind currents and cloud cover over Japan. National Archives. Ray Smisek, Captain of the “City of San Francisco”, had his orders. 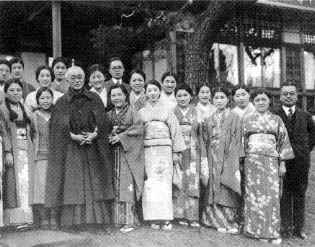 His crew was bound for Japan. Capt. Smisek’s B-29 was at the upper left. For a detailed description of how these huge, bomb laden B-29s would take off for a mission to Japan, please see S. Smisek’s write up at https://flic.kr/p/49N5vr. They say ballet is a difficult art form that yields beautiful results. Timing, training and execution. It all pays off at the end. Indeed, to get hundreds of B-29s laden with jellied gasoline bombs and 8,000 gallons of high octane fuel into the air was like a ballet. It took timing, intensive training and execution. But men died. It was not a simple task even when perfectly executed. 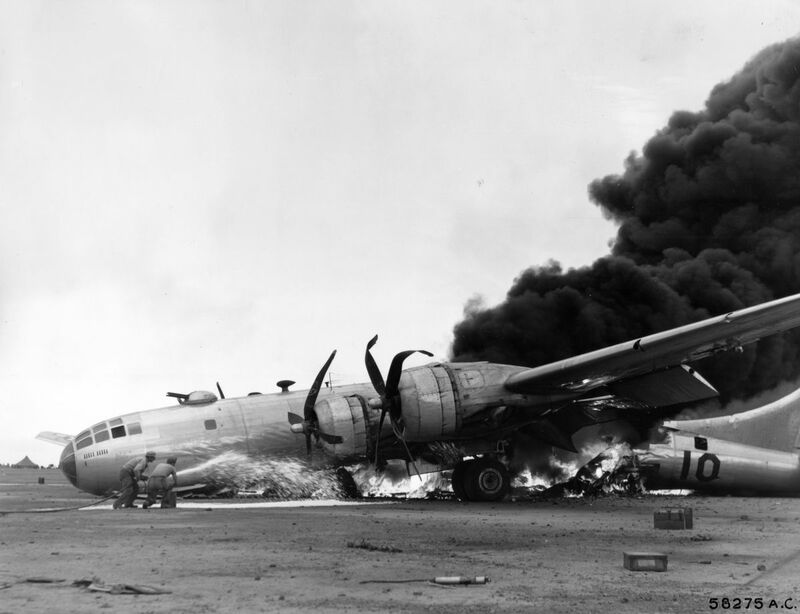 Because these laden B-29s were at their weights limits and powered by four unreliable behemoth engines, some planes crashed during take-off due to engine malfunction. Perhaps you can imagine the thoughts racing through Capt. Smisek’s head as his B-29 thundered down the runway, straining to achieve sufficient airspeed to lift off – before he got to the end of the runway. B-29 formations such as this one rarely occurred for bombing attacks on Japan. Source unknown. Pilots knew anything could happen during a mission. A plane could have turned back due to mechanical problems or crashed. No flight plan EVER went according to plan so two basic approaches to bombing Japan existed: one for daylight bombing and one for night time bombing. Briefly, once in the air, B-29s would fly individually to an assembly point about 100 miles from Japan for daylight bombing. They flew “on their own”, so to speak, as fuel was a high concern. Flying in formation will consume more fuel and individual pilots could adjust for their own flight environment. Every gallon DID count. Upon a signal from the navigator, the captain would nudge the huge plane up to bombing altitude, normally 20,000′ to 30,000′. This climb was also another precarious phase: engines could overheat and they did. If they overheated too much, they would erupt in fire. If not put out, the fire would quickly burn through the wing spar with disastrous results. While no one knew exactly how many B-29s would make it to the assembly point, the planes that got there would line up with a “lead” plane at the assembly point then follow the lead to target (Capt. Smisek was such a lead plane.). They would likely be in flights of three to four but no more than ten (i.e., three formations). When the lead dropped their ordnance, so would the others. S. Smisek reported his father “…comment(ed) once about how the B-29 would lurch up as 10 tons of bombs were released”. For the night time firebombing raids, the B-29s would still take-off from Guam at one minute intervals but each would have their own course and altitude. However, before the rest of the squadron arrived, pathfinders made their drops first. They would literally criss-cross over their target and drop their incendiaries, a conceptual “X marks the spot” with fires. That general “X” area became the target for the ensuing planes. While very few photographs exist of the B-29s that night for obvious reasons, perhaps these daytime images largely provided by S. Smisek will illustrate the deathly hazards his father and crew undertook during their bombing missions to Japan. 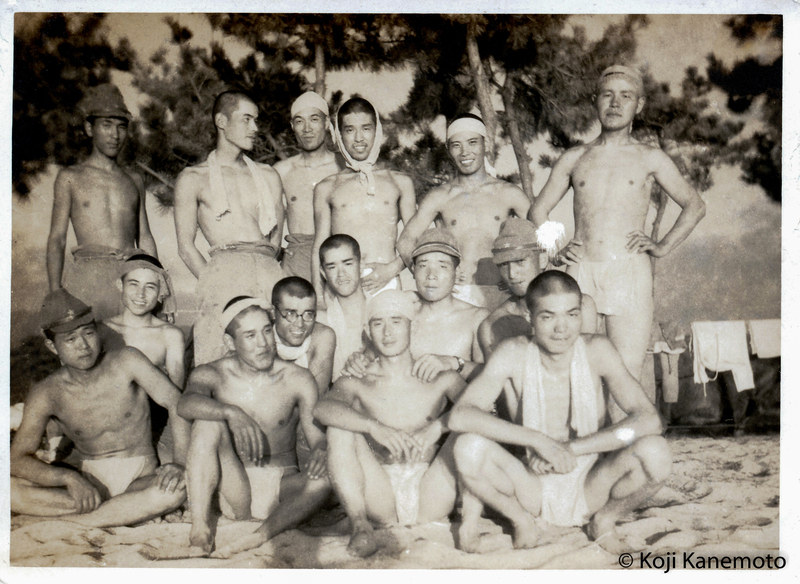 Many other privately taken pictures – many of the men – can be seen in his photostream; merely click on the images. Another B-29, a squadron mate of Capt. Ray Smisek, disintegrates after suicide planes rams it. Although two apparently bailed, they were later killed. All KIA. Courtesy of S. Smisek. 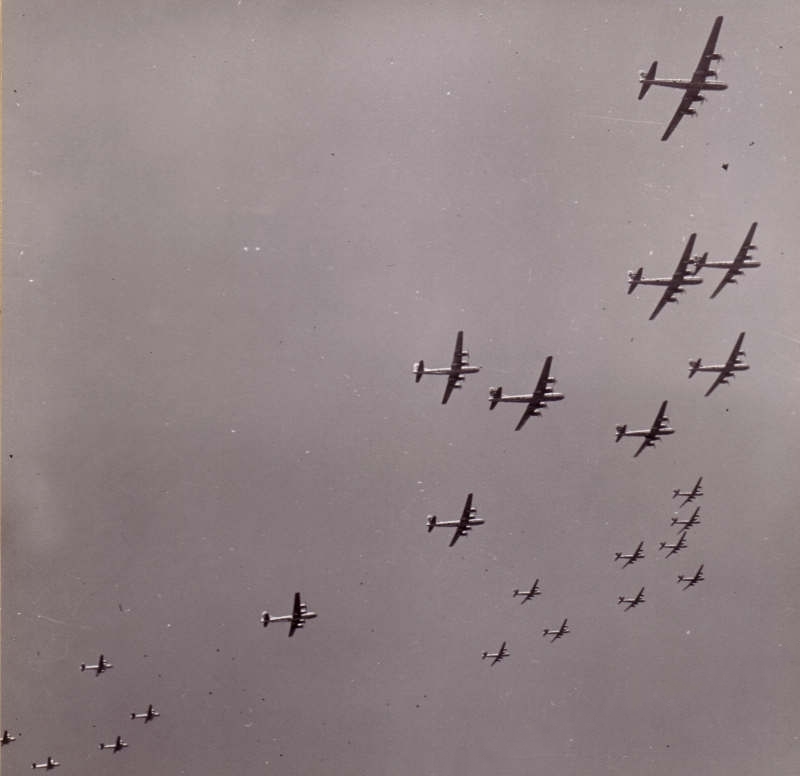 Flak bursts amongst B-29s during the dropping of bombs. Courtesy of S. Smisek. B-29 crash site in Japan. Undated. Tail number visible. Source unknown. 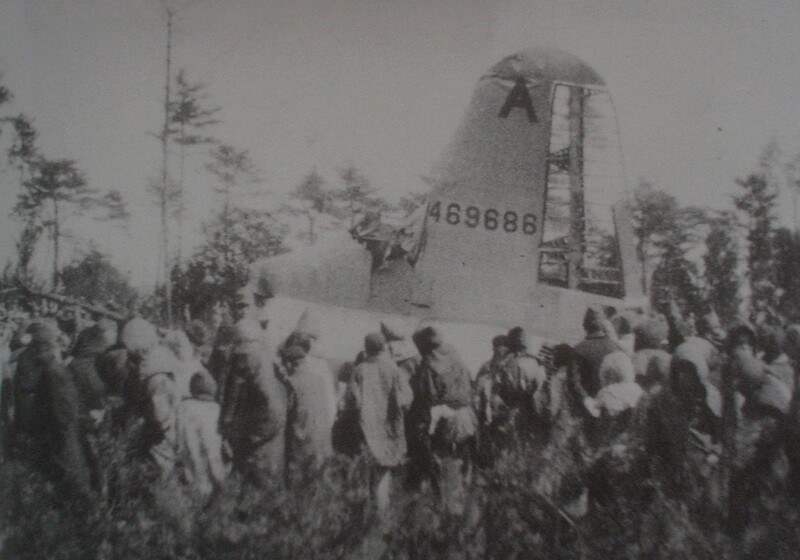 More wreckage from a crashed B-29 in Japan. 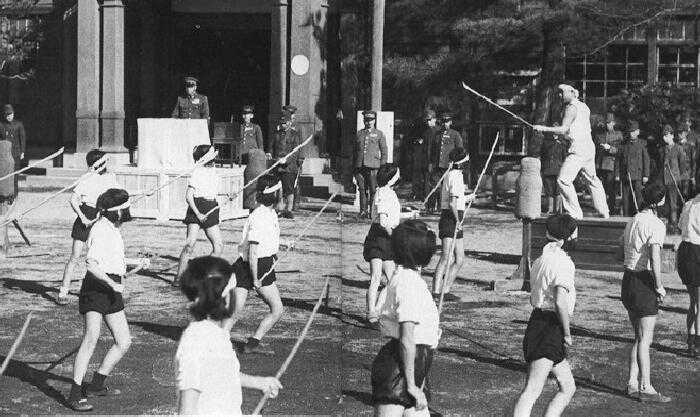 Japanese citizens surround the tail. Source unknown. All crew members knew their fate if they bailed out over Japan. Pilots were urged to head out to sea if at all possible and ditch in hopes of being rescued by Allied ships. If the damage was not excessive, their goal would be Iwo Jima, just taken by the US Marines. In fact, one landed while the battle for Iwo Jima was still going. She would be the first of hundreds of B-29s to be saved. The most devastating bombing attack in history occurred on March 9-10, 1945. 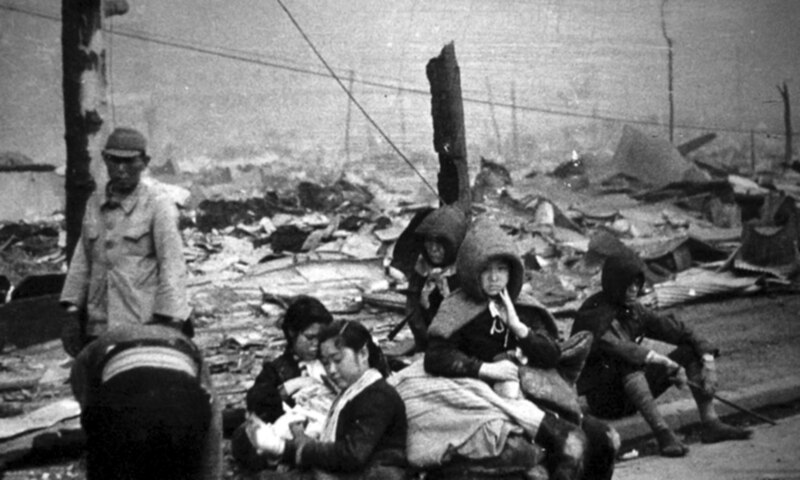 While the actual number CANNOT be officially established, roughly 100,000 civilians perished that first night. In comparison, the first atomic blast over Hiroshima claimed about 80,000 lives on August 6, 1945; many were Korean slave laborers while others were Allied POWs. While this first firebombing mission is the most well known, other firebombing missions were just as terrifying – for those in the air or on the ground. While Capt. 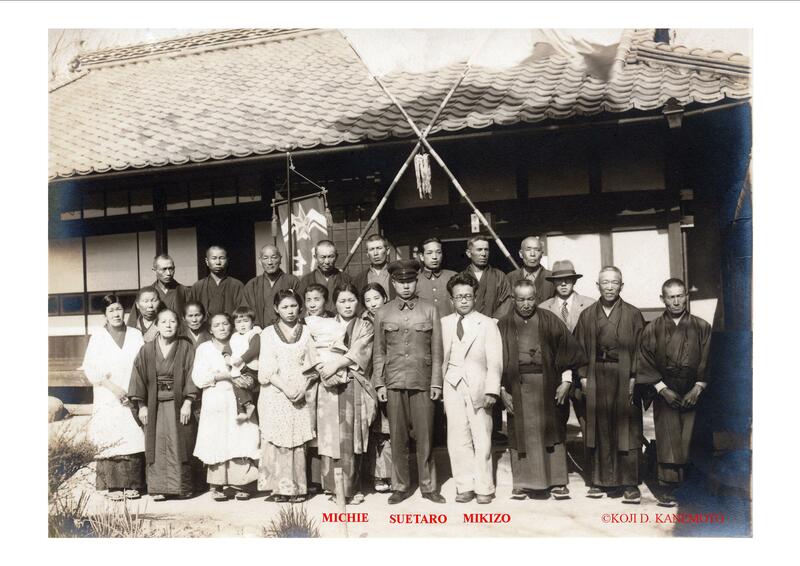 Smisek made his first incendiary drop over Japan on April 12th, the terror was the same. 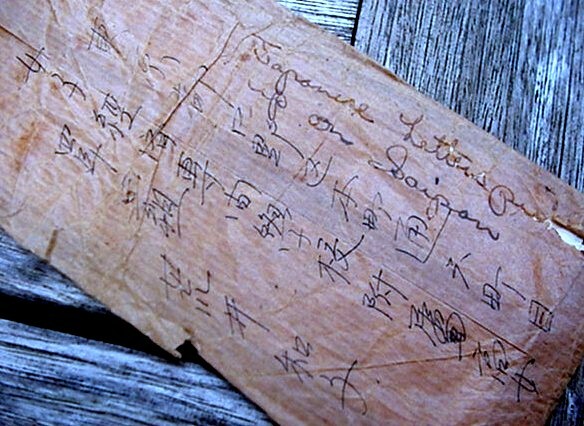 Ray Smisek’s handwritten mission log with daytime missions on the left, nighttime missions on the right. Aborted missions (two) are on another log page. 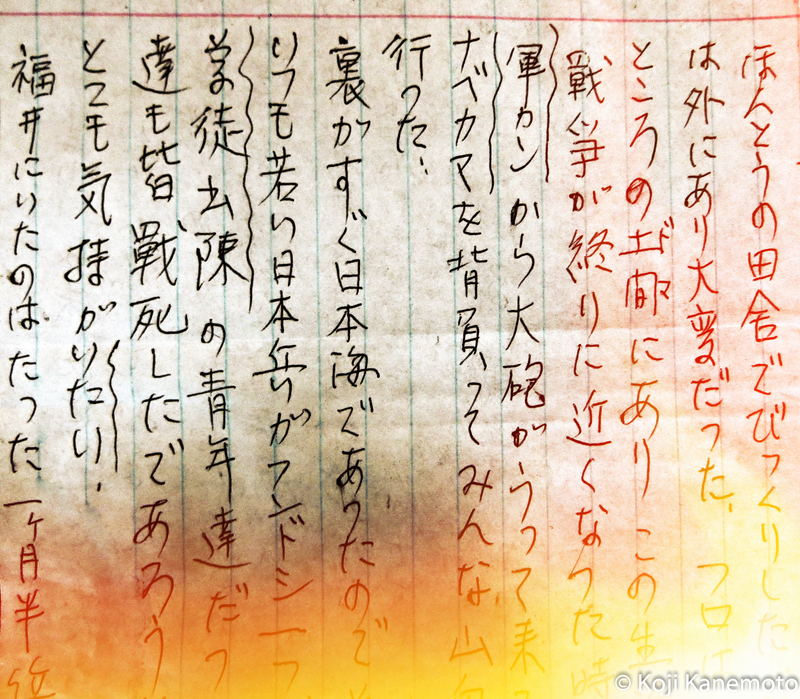 The one mission not on his handwritten log was his last: the flyover of Tokyo Bay after the Japanese surrender on the USS Missouri. Indeed, Smisek was part of that great aerial armada. The US military deemed the factories scattered about in Tokyo needed to be shut down. 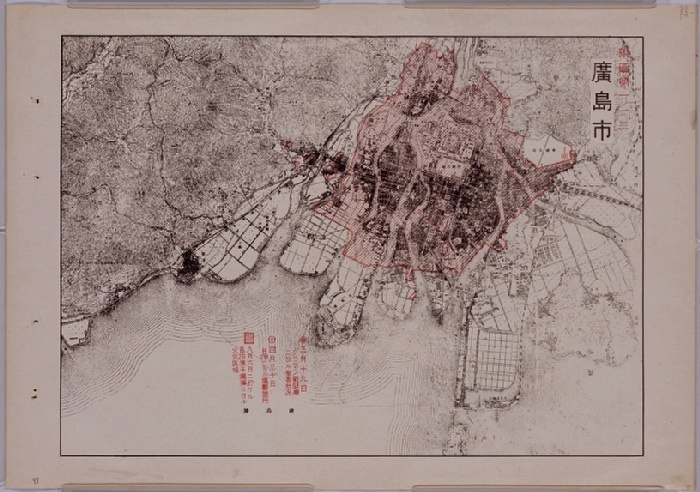 The bombers’ primary target was the industrial district just inland of Tokyo Bay. This is where intelligence determined the factories, docks and the homes of the workers who supplied the labor for Japan’s war industry were located. 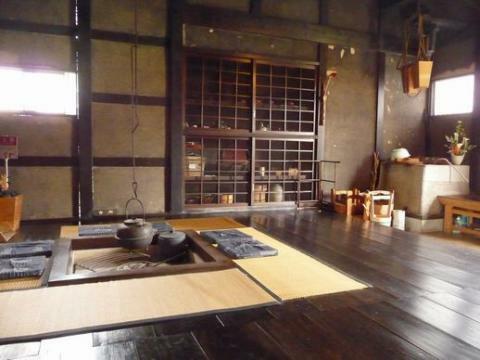 The area was a heavy concentration of Japanese traditional style wood and paper homes. My aunt lived one of these in the target area through high school. In the few days before the attack, solitary B-29s flew over Tokyo at night, setting off search lights and flak. No bombs were dropped as these brave souls were testing Japanese reaction to their night time intrusion. In other words, they were scouts that actually wanted to be found by the enemy. Actual AN-M69 with its infamous ribbon-like streamers. Courtesy S. Smisek. On the night of March 9-10, 334 B-29s weighing about 70 tons each began their 15+ hour flight to Tokyo; each plane took off in one minute intervals maintaining radio silence. As each plane was loaded with 40 clusters, the potential total number of individual AN-M69s to be released over Tokyo that night would be about 450,000 sticks (small amounts of other ordnance was dropped). 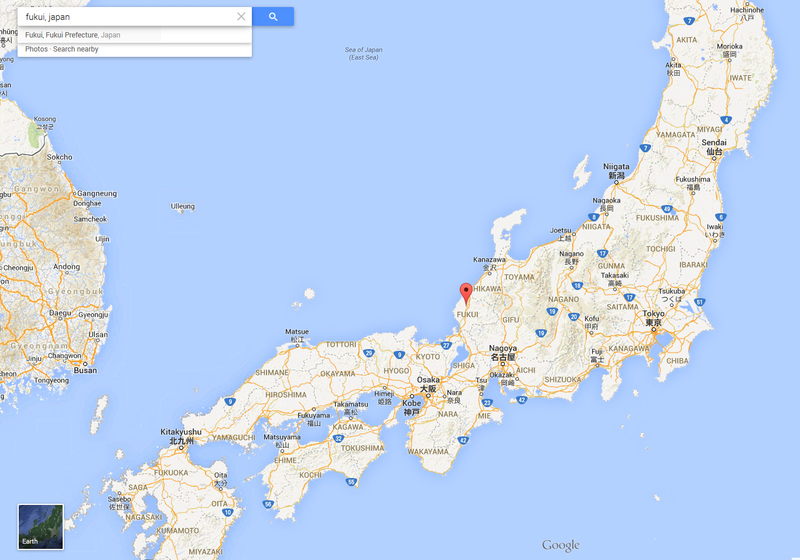 Twelve B-29 pathfinders were deployed in this attack; their mission was to set up to five targets in Tokyo. 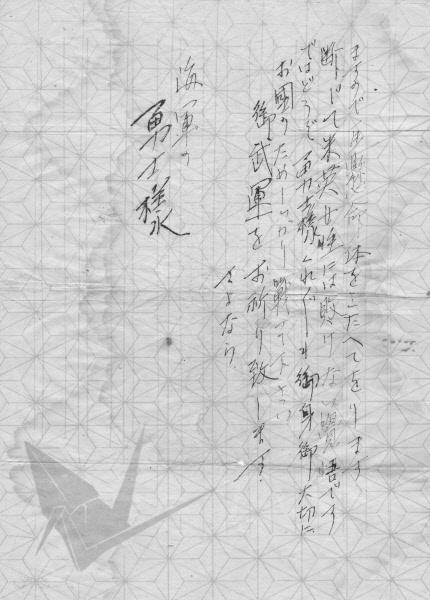 Depending on the report, the very first pathfinders arrived over Tokyo at about 10:30 pm flying into a strong headwind. They were met with intense flak and searchlights. The other pathfinders arrived in succession afterwards, each marking the targets for individual planes that were following. One by one, the initial B-29s approached on their individual courses and altitudes ranging from 5,000′ to 9,000′, seeking out the fires set by the pathfinders. Bombardiers released the incendiary clusters accordingly over target. When the clusters broke apart between 2,500′ and 5,000′ and released the individual AN-M69 sticks, the swirling wind scattered them about. As one stick would puncture through a roof or otherwise hit a building, these sticks – capable of shooting flame 100 feet if unobstructed – would ignite three to five seconds later. This would happen 450,000 times that night if all ordnance had ignited without fail. Burned out areas stretched from the bay at left to the Imperial Palace. USAAF photograph. The stream of B-29s stretched for hundreds of miles; the bombing continued for over three hours. Fires raged out of control. Winds fanned the fires so intensely that temperatures at street level reached over 1,800F, bubbling asphalt. 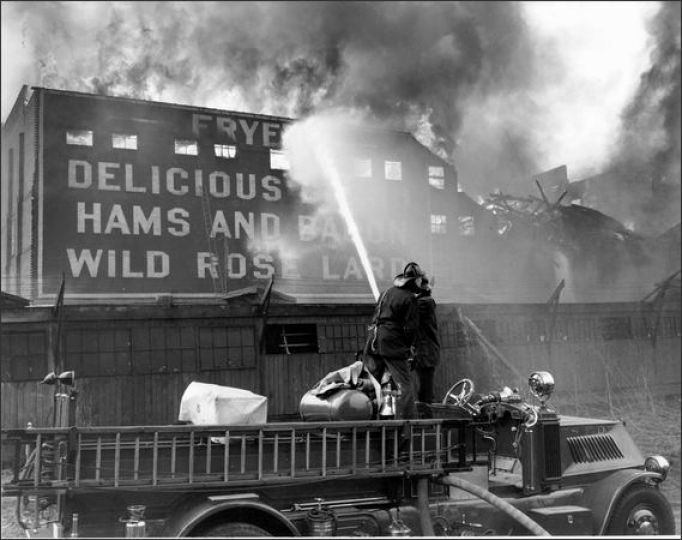 Fire crews were amateur, comprised mostly of women as the able men had been sacrificed for war. If someone escaped the fire, the likelihood was high that person would still suffocate to death as the firestorm consumed oxygen to feed itself. A view from a B-29 cockpit, or “Greenhouse” as it was nicknamed. While the smoke rising above Kobe, it should give you an idea of what Tokyo may have looked like. Courtesy of S. Smisek. 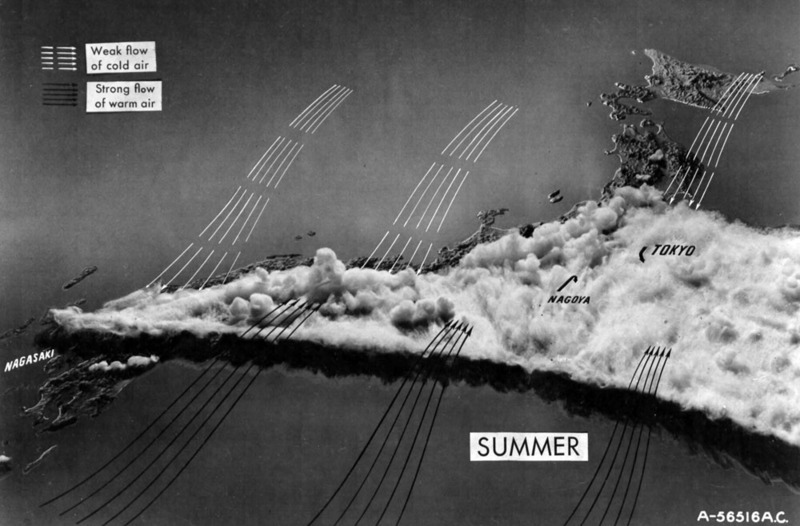 By the time the trailing B-29s approached, the crews were tossed around by the swirling heat thermals rising from Tokyo. Some reported their B-29 bomber weighing 60 tons was thrust upward by 1,800 feet. Others vomited after smelling the intense stench of burning flesh permeating through their aircraft. 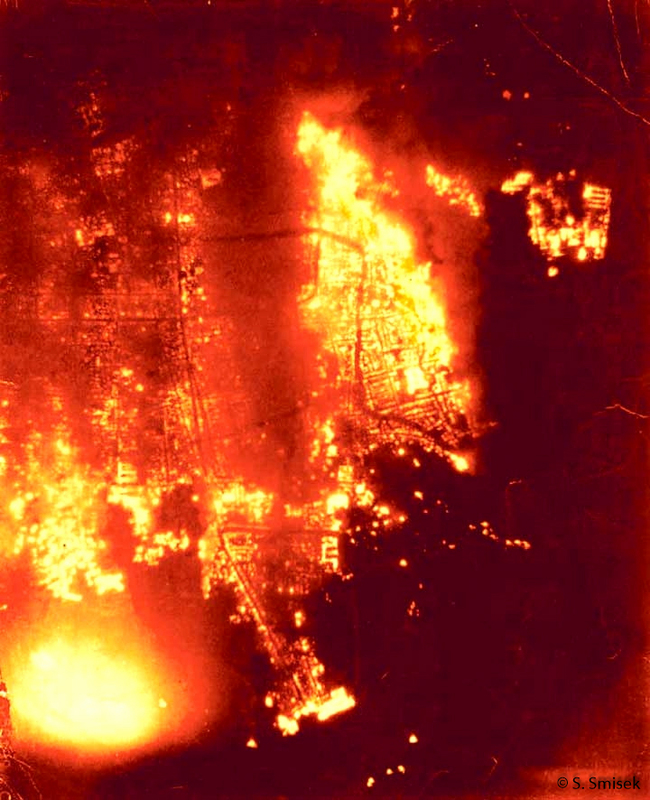 Another crew member described the inferno below as flying over a forest of burning Christmas trees. These were young men just like Capt. 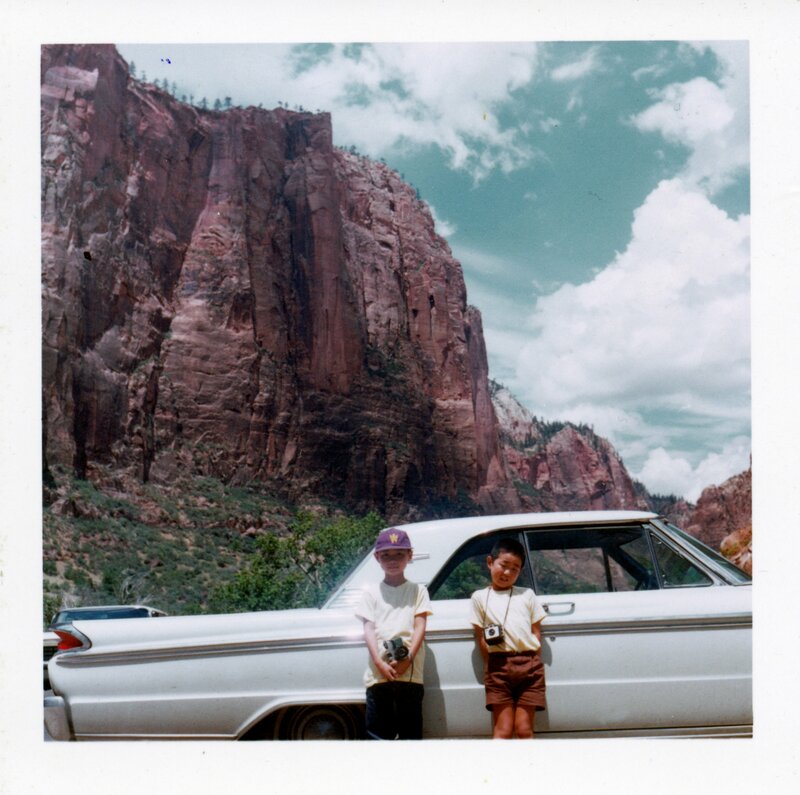 Ray Smisek – if not younger. The fire ran out of things to burn once it reached Tokyo Bay and concrete structures. Fire crews had nothing to do with it. The all clear was sounded at about 5 AM. The raid achieved General LeMay’s goals and his crews did as ordered. Again, while estimates will always vary, about 13 square miles of Tokyo ceased to exist; that is more than half the size of current day Manhattan. 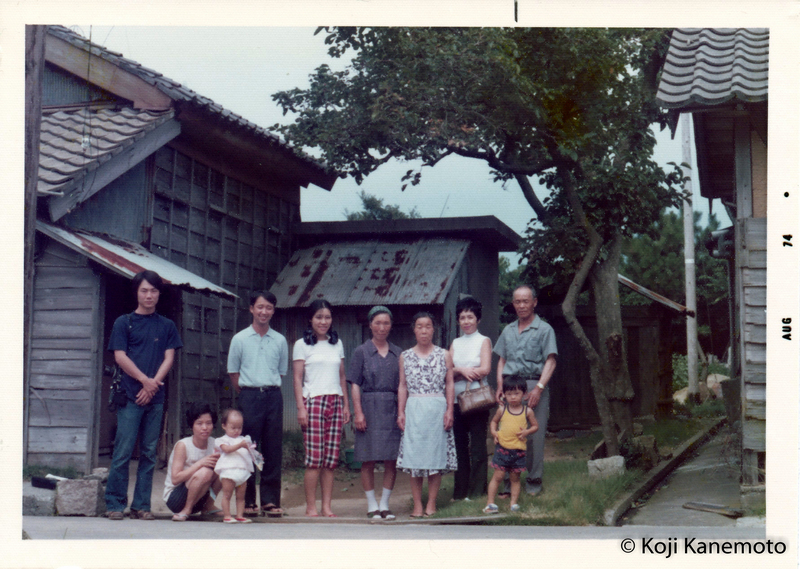 Over a quarter-million homes and buildings were burned to the ground – including my Aunt Eiko’s childhood home. Hope you will stayed tuned. The view from the ground in Part 4. Assembling the incendiary bomb clusters on Guam for the next mission. (NOTE: Depending on the article read, this B-29 in Capt. Smisek’s 330th BG was still armed with the .50 caliber Browning machine guns.) Courtesy of S. Smisek. 3. Per S. Smisek, a contributor to the initial bombing inaccuracy was the B-29’s encounter with what is now known as the Jet Stream; this occurred as the B-29’s pressurized compartment enabled the aircraft to fly at higher altitudes (in the 23-39,000′ range). 4. LeMay understood the consequences of his command decision. If America were to lose the war, he would be charged as a war criminal. In addition to a “bat bomb” that was actually developed by the US military, S. Smisek reports LeMay’s planners came up with dropping delayed explosive ordnance. These were anywhere from 20lb all the way to 500lb GP HE that had up to a 30 minute delay fuse. These were employed to kill the personnel that were dispatched to put out the fires from the incendiary bombs. 5. Per S. Smisek, the pathfinders also carried a variety of GP (General Purpose) HE (High Explosive) bombs to break up the target area. 6. 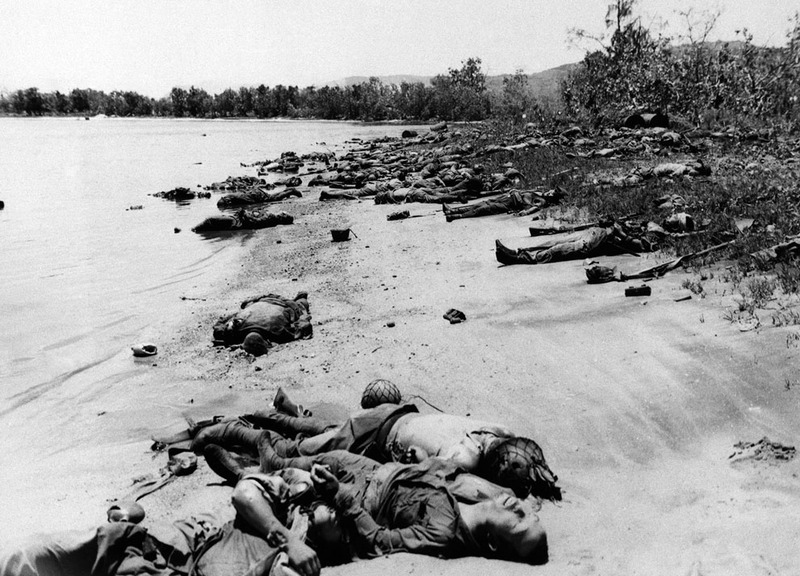 In WWII, over 250,000 US airmen were killed, far surpassing those troops lost on the ground. That’s what we called them here in the States; nicknames for the Boeing B-29 bomber. My aunt called them “地獄からのトンボ” or dragonfly from hell. The development of the B-29 actually started before WWII began for the US – in 1939. Perhaps there were some shenanigans back then but Boeing had engineered a pressurized cockpit for their B-17 Flying Fortress (from whence the nickname Superfortress hailed from) for the USAAF. Conveniently, the USAAF put together in 1939 a call for a new bomber capable of 400 mph while carrying a 20,000 pound payload. The B-29 was born. Destroyed Frye Packing Plant. Boeing archives. Her development was not smooth. Indeed, it was the most advanced aircraft design of its time with its pressurized crew compartment and ten remote control dual .50 caliber Browning machine guns. The second prototype YB-29 crashed into the Frye Packing Plant in Seattle killing her pilot, Eddie Allen, all ten of her crew of engineers as well as 19 workers on the ground. (In fact, two engineers managed to bail out over Seattle but they were too low for their parachutes to deploy.) As an indication of things to come, an engine caught fire 20 minutes into the flight causing the horrendous crash. As the plane was secret, there was a tremendous cover-up as well. Test pilot Eddie Allen from his cockpit of the XB-29. Boeing archives. 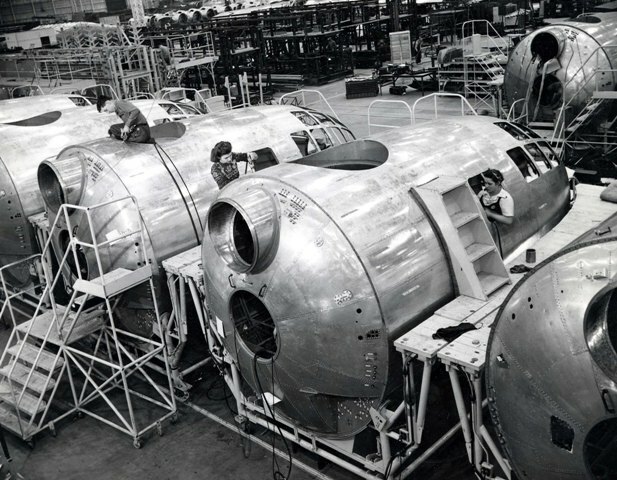 The production of the B-29 was a nightmare. Due to immensity of the aircraft for its time, there were no manufacturing facilities large enough to house it let alone build it. Four assembly plants were utilized with Boeing’s Wichita plant eventually becoming the hub. The plane’s complexity exacerbated the production; over a thousand sub-contractors were involved. 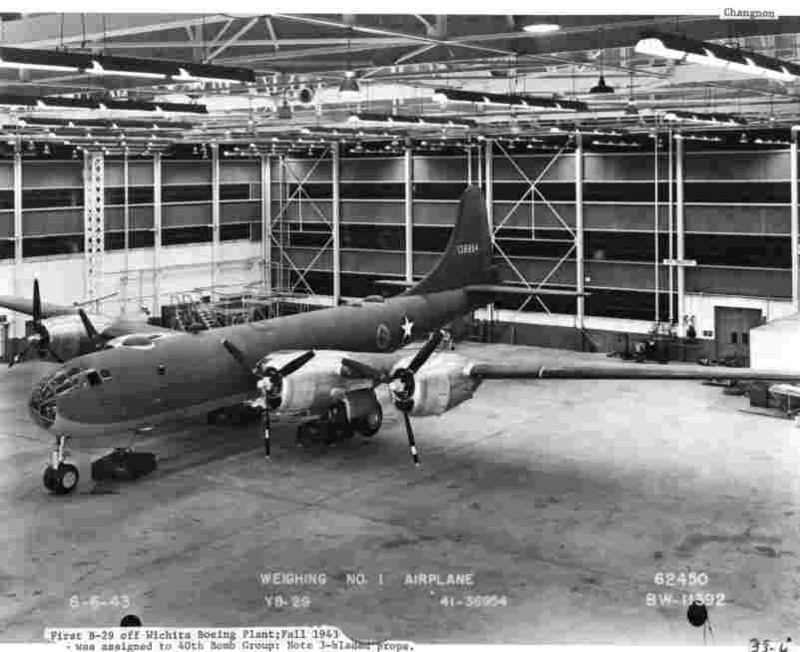 Production changes were so prevalent, numerous and on-going that even when a B-29 had been assembled, it was towed to a holding area in Wichita to have major modifications done post-production. The freezing weather also made work a nightmare. Production was so poor that even when about 97 were delivered in 1943, only about 15 were flyable. 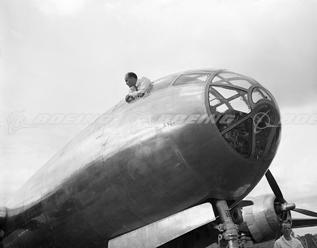 Posed photograph of workers working on B-29 cockpit module. National archives. Undated. First B-29 out of Wichita, Kansas, Fall 1943. National Archives. As as mentioned, the engines overheated to the point of being set on fire during flight. Because production of the first B-29’s were done “on the run”, the first 100 built were really built by hand by unskilled laborers. Each one differed from another. One end result of this production on the run was that there were significant differences in weight between supposedly identical bombers. Only personal intervention by the great General Hap Arnold improved the production problem… but it took months. The first combat deployment of the B-29 occurred from the China-Burma-India theater of war on June 4, 1944. Ninety-eight B-29s flew to targets in Thailand. However, the results were dismal (Reports indicate perhaps one bomb hit target. Most bombs landed two kilometers off target.). As another indicator of things to come, five B-29s were lost during the mission. They were not lost due to enemy fire; they crashed due to mechanical failure. Under the command of Curtis “Iron Pants” LeMay, the first bombing mission to Japan occurred on June 15, 1944. Sixty-eight B-29s took off from bases around Chengdu and bombed a steel plant in Yahata, Japan. As a first indicator of an ugly pattern, only 47 of the 68 B-29’s reached their target. 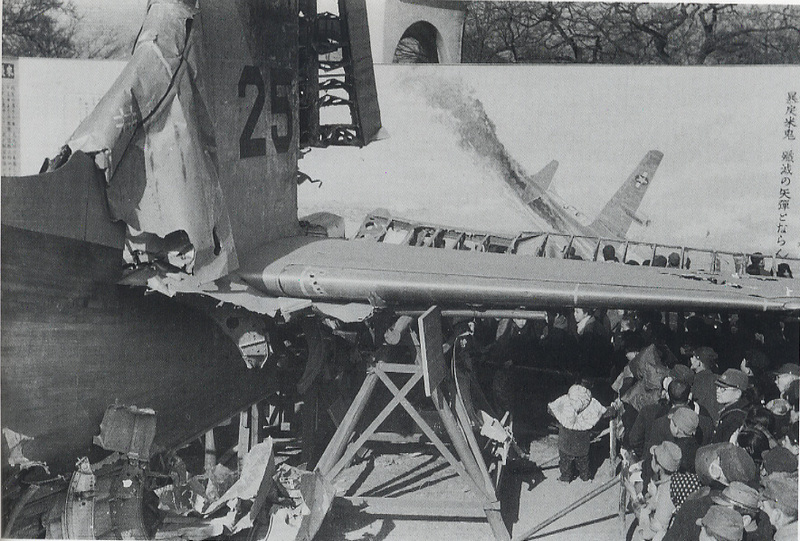 As in the XB-29 prototype crash, the engines were the most serious operational defect. They utilized the 2,200 hp Wright R-3350 Duplex-Cyclone radial engine with 18 cylinders in two rows. One central design defect rested within the top five cylinders of the radial engine. These radial engines needed massive air flow to cool them off. Unfortunately, engine shortcomings, i.e., engine failures, led to a number of crashes at take off when the planes were fully loaded with ordnance or at other unfortunate times during their long flights. 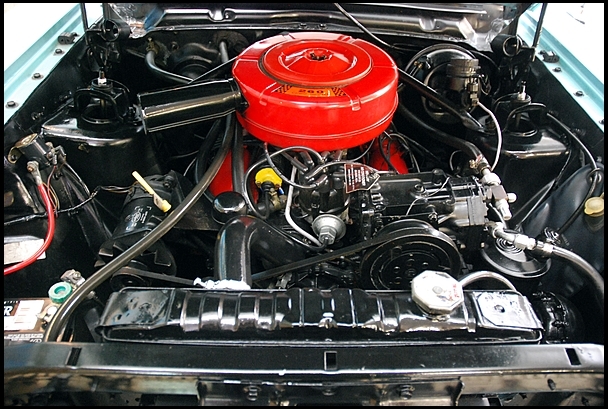 Engines needed overhaul or replacement only after about 75 hours of operation to give you an idea of their unreliability. Bombing missions to Tokyo averaged 15 hours in the air. Later models – the B-29B or ‘”Silverplate”¹ – would be stripped of all defensive armament except for the tail gun. Imagine being on the plane during that time flying over thousands of miles of ocean…exponentially worsened if you were under attack. I wonder what unpleasant thoughts kept gnawing at Capt. Ray Smisek and his crew during one of their missions. He was flying the Chevy Citation of the skies. AN-M69 cluster incendiaries were shipped in metal tubes. 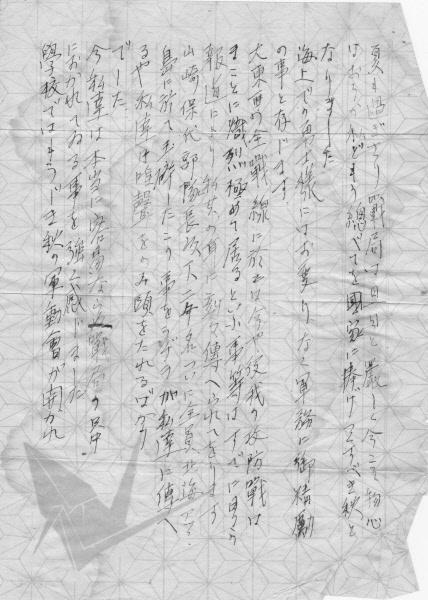 Source: http://www.japanairraids.org/?page_id=3242. 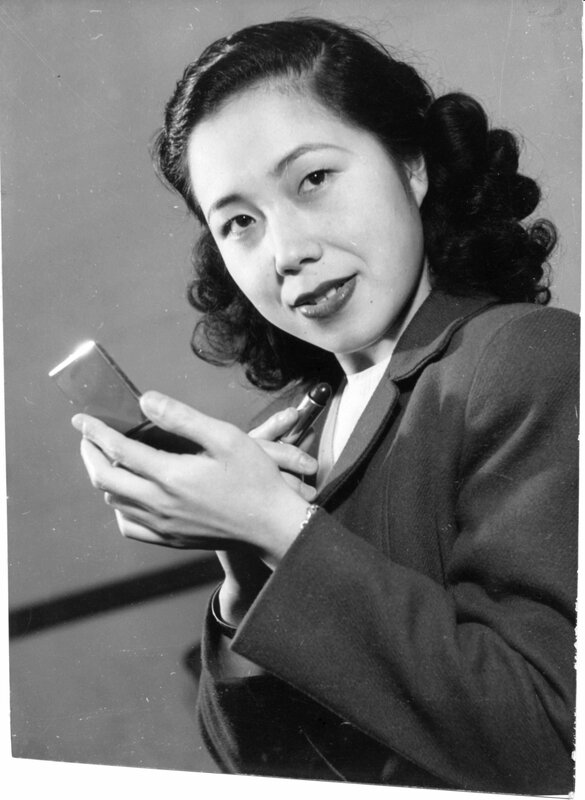 In essence, there were many combinations of bombs used in the bombing of Tokyo. 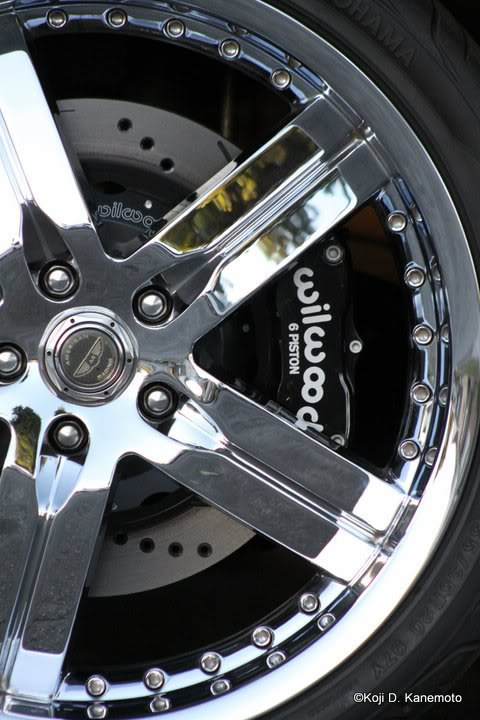 For the purposes of this blog, we will focus on a couple. The AN-M69 Incendiary Bomb was a cluster-type jellied gasoline (napalm) weapon; the gel would be contained in a cheesecloth sack then enclosed in a metal tube. The Standard Oil Development Company started work on the weapon two months before Pearl Harbor. The engineering goal was to develop an incendiary device with as little magnesium as possible due to supply constraints. The objective of this weapon was to simply burn things (and the enemy) up. Ironically, German buildings were the initial target but as the war progressed, use against Japanese targets became the focus. 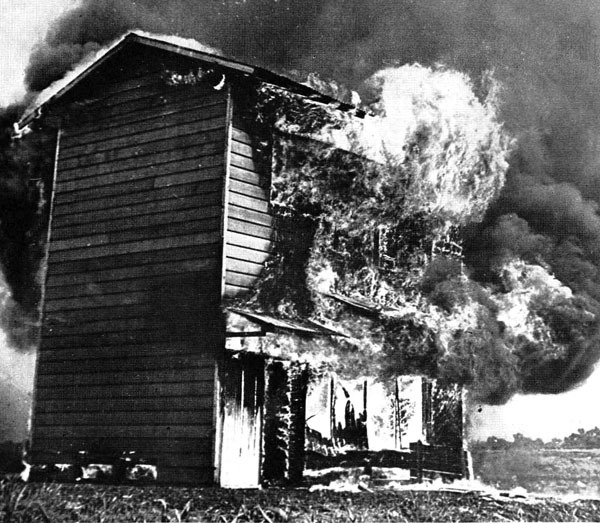 Test of an AN-M69 incendiary device against a “Japanese style” building. Undated. 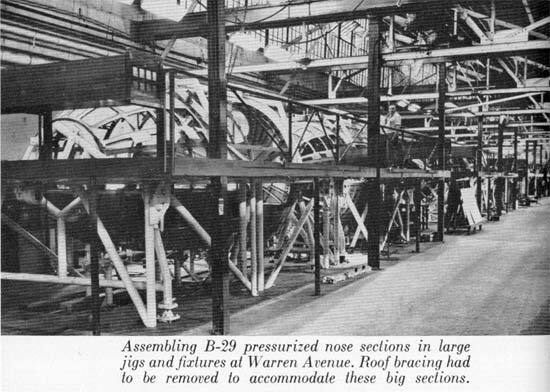 The most common cluster assembly (the M19) held 38 individual AN-M69s, nicknamed “Tokyo Calling Cards” by her crews; the B-29s would release the M19s 5,000 feet above a target. As the M19 canister would break open, the force of the wind would deploy the streamer attached to each AN-M69 stick. As the individual AN-M69s scattered in the air stream, they would orient themselves to the nose-down position. The M1 fuse would activate after hitting the ground or target, then would lay there 3 to 5 seconds allowing the stick to lay on its side. After those seconds, the explosive charge would disperse the burning jellied gasoline, clinging to anything it touched. An excellent schematic of the AN-M69 with a 38 stick cluster. Courtesy of S. Smisek. A close up of an actual AN-M69 incendiary bomb. Courtesy of S. Smisek. 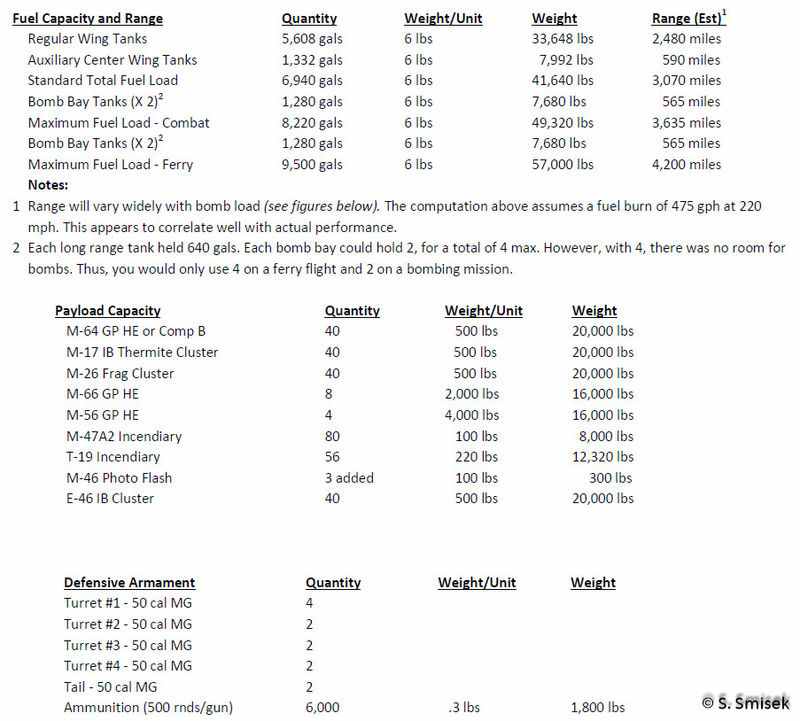 Each B-29 could carry 40 M19 canisters in their bomb bays with each canister carrying 38 AN-M69s. Using simple (non-common core) multiplication, that would be 1,520 AN-M69s per each B-29. 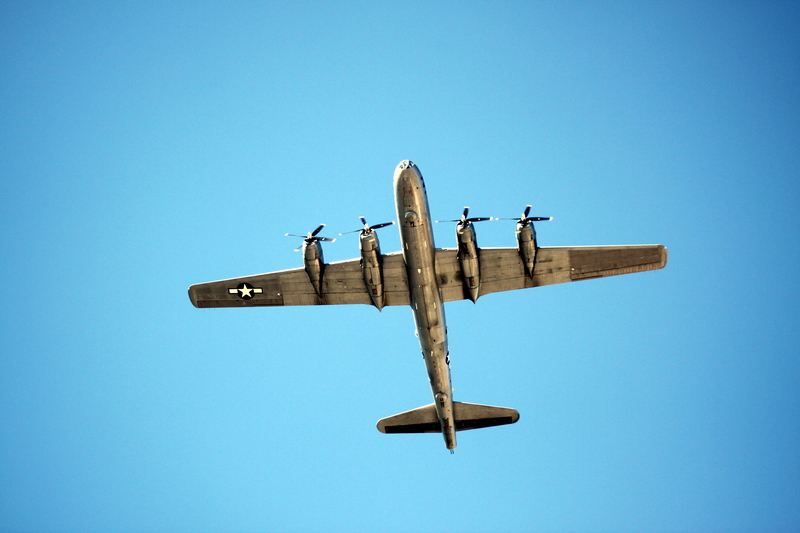 A raid could involve hundreds of B-29s. There were other variations of this concept, such as the M17s. We have all been camping at one time or another. When we try to start a campfire “the old way”, the kids would be sent about looking for smaller twigs and branches to be used as kindling. Larger logs would then be placed upon the then burning kindling. The AN-M41 was a 20 pound fragmentation bomb, held in clusters. There is nothing very unique about this weapon. Upon hitting a target, it’s mission was to simply break things up upon impact. Smaller pieces would then be easier to burn, much like kindling in concept. A cluster of AN-M41 20 pound fragmentation bombs. Copyright and courtesy of S. Smisek. I would think it would take immense courage to be flying in an aircraft being shot at while carrying these explosives. In colloquial terms, it took balls. Lots of it. You were in a flying gasoline tanker. Captain Ray B. Smisek, standing at far right, and his gallant crew. Guam 1945. Copyright and courtesy of S. Smisek. The perilous B-29 missions will be coming next in Part 3. 1 Ironically, the secret codeword Colonel Paul Tibbetts of the Enola Gay was given by General Hap Arnold while assembling his atomic bombing group was “Silverplate”. If Tibbetts encountered any administrative SNAFU, he could get anything ordered by using the secret codeword. After a war’s end, the war for food continues for a losing country. Japan was no exception. In “There Be Gold in My Family,” Taro was mentioned. 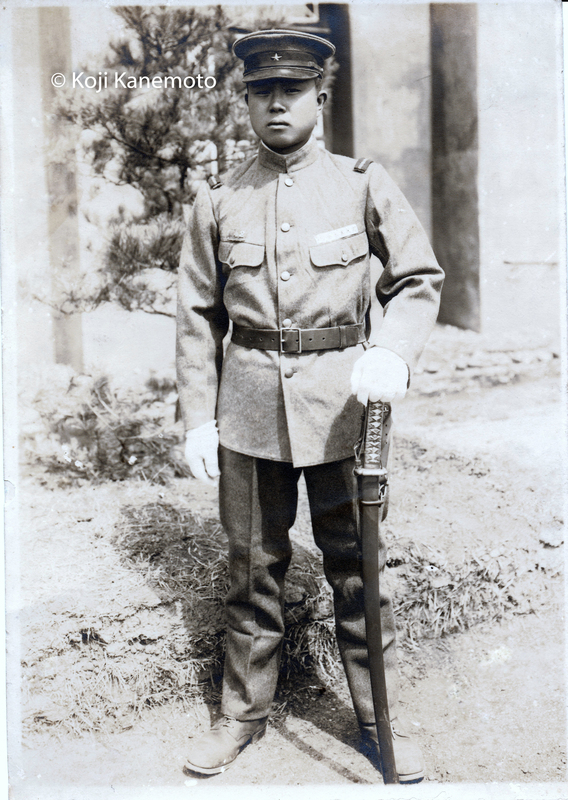 He was miraculously able to track down my mother and Aunt Eiko in what remained of Tokyo after Japan’s surrender in WWII. He was part of the US 8th Army’s Military Intelligence Service and had brought them much needed food, clothing and cigarettes. 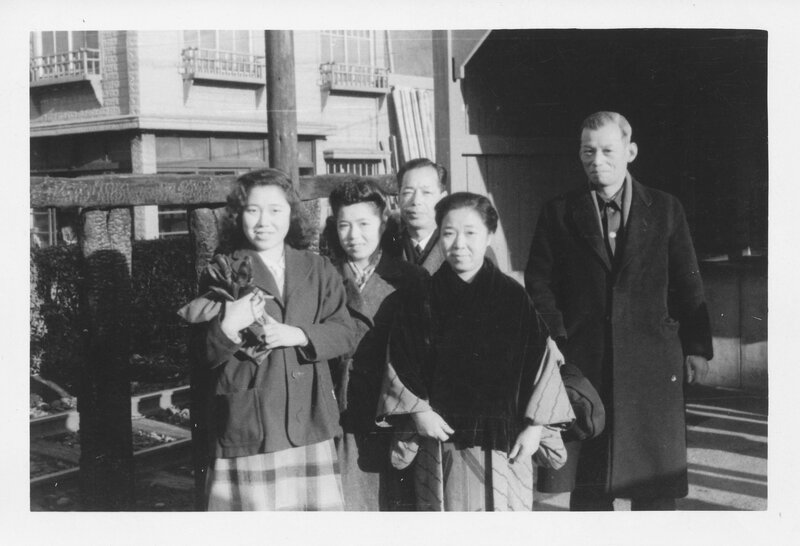 L to R: Aunt Eiko, mom, Grandfather, Grandmother and Uncle Shibayama. 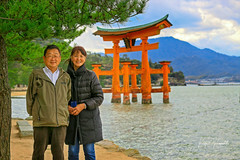 Aunt Eiko, mom and uncle are wearing clothing given to them by Taro who took the picture. It is dated January 2, 1947 on the back. 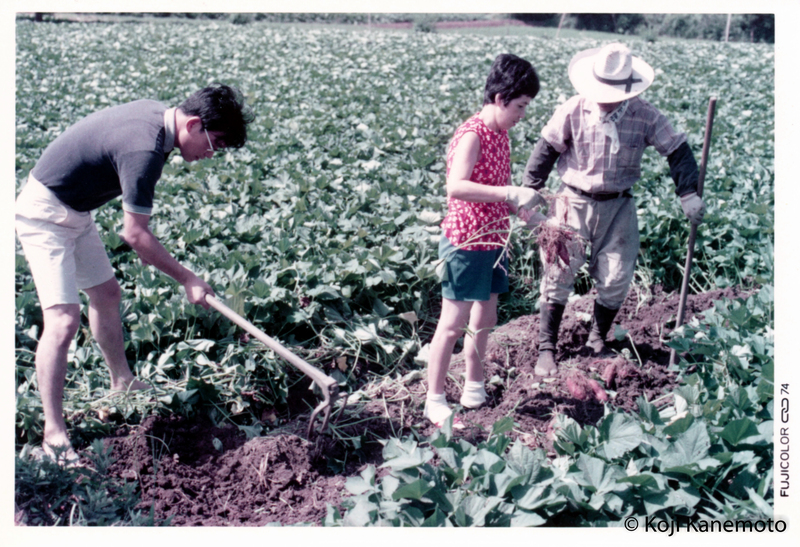 After being discharged from the Army in early 1947, he returned to his family’s farming roots in Livingston, CA. 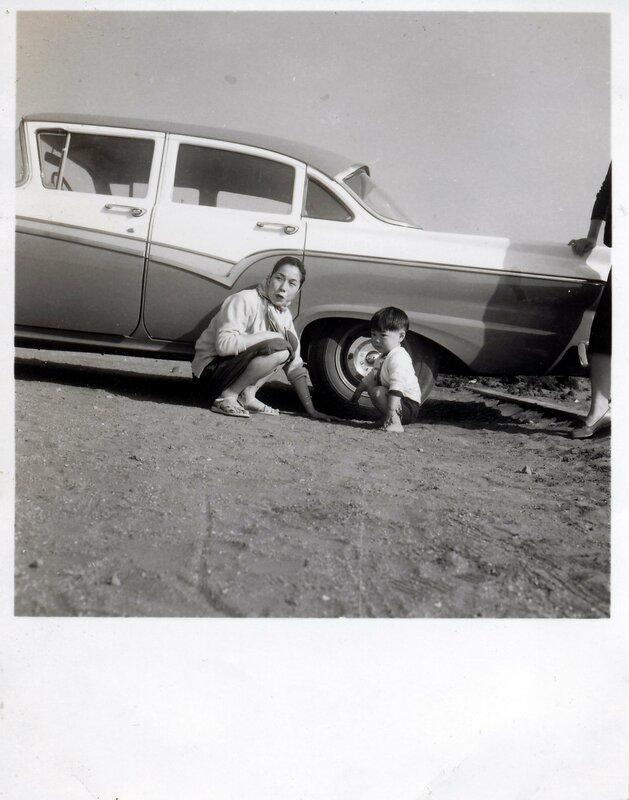 With his meager income, he still managed to buy clothing and shipped them to my mother and Aunt Eiko. He was a kind and generous man. To this day, they are indebted to Taro. 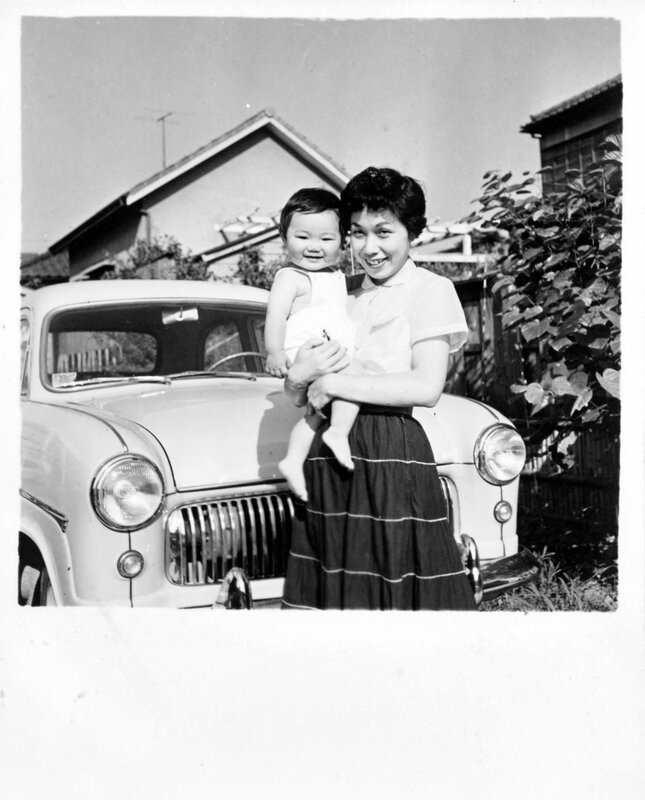 One ensemble Aunt Eiko received was a blue dress, shoes, and handbag. More later. 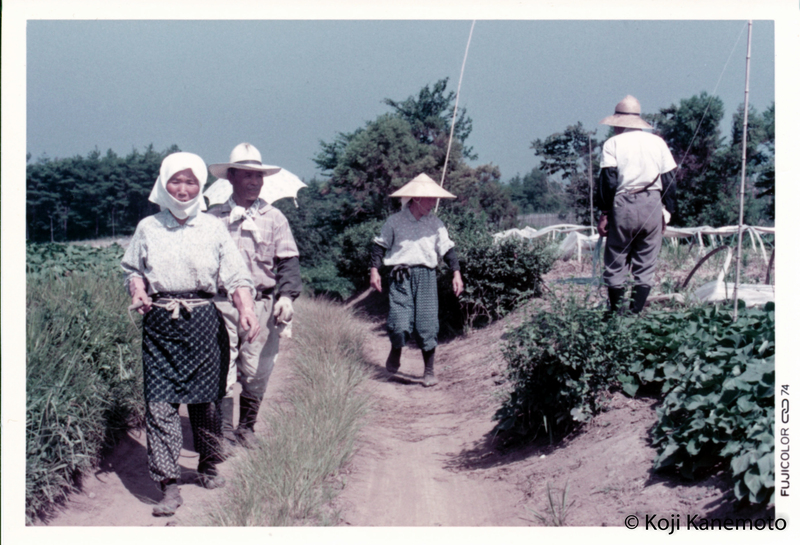 When war ended and the Allies began their Occupation of Japan, the population was in rags. Many had no homes. Civiians with ration books waiting in line for beans. Note the containers for carrying clean water. Everyday people suffered from poverty, filthy conditions, hunger, and food shortages. 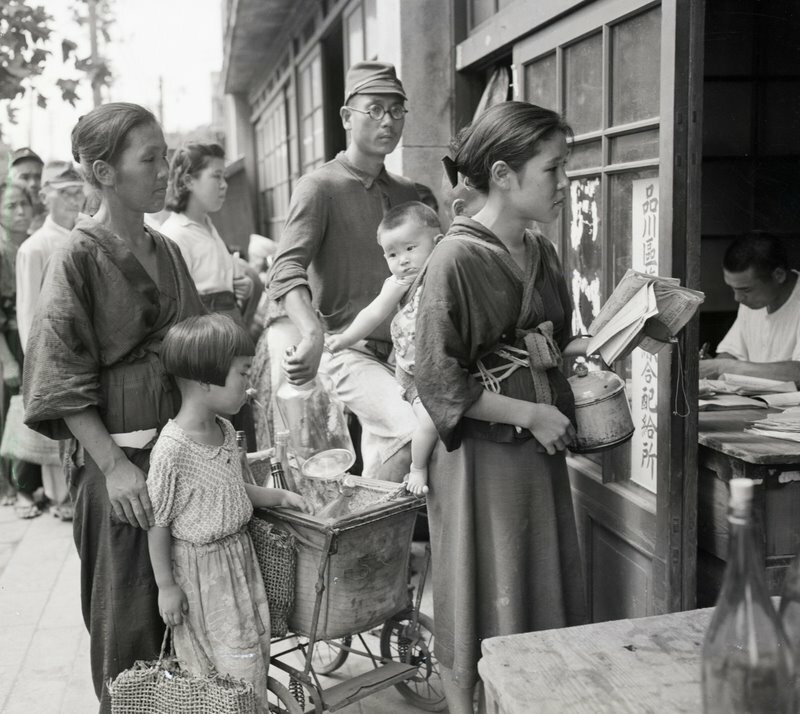 In order to help distribute food, Japanese people were given assigned rations by the Allies. This was put into motion quickly thanks to the Supreme Commander, Gen. MacArthur. He ensured the most humane treatment possible under those wretched conditions. In reality, living just on the rationed food often did not provide adequate nourishment, and a thriving black market developed amidst the constant food shortages. 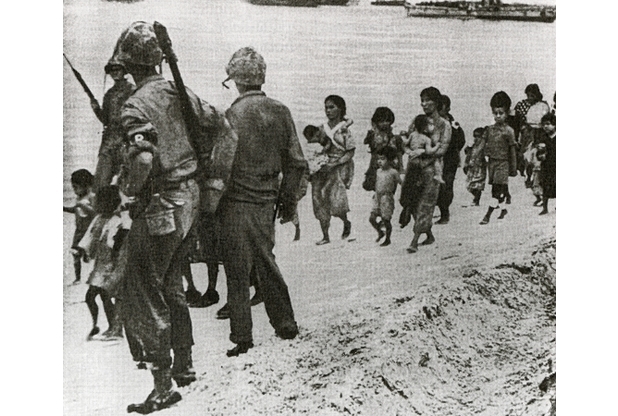 Civilians lined up, waiting for their rations of beans as even rice was not available to them at that time. (The last point is critical to this story.) They also carried receptacles to carry clean water which was also rationed. 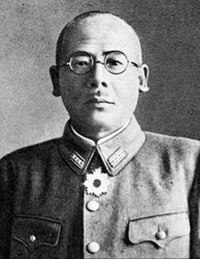 As many young Japanese men were killed, a majority of those lining up were the elderly, women and children. Of course, Americans were issued food ration stamps as part of our war effort back home and textbooks show many photos of starving and tortured American prisoners. Back to Aunt Eiko’s blue dress ensemble. She recalls how “Western” they looked. Especially since the outfit was a BRIGHT blue. Very American. Very NOT Japanese. Madonna-esque. You can tell by looking at the clothing the women were wearing in the food line picture. Aunt Eiko was so happy though. She wanted to show off her dress but was fearful of the ridicule or demeaning comments she may receive from passerbys. You see, even in 1947, only a small minority “had”… The vast majority were “have nots”. Neighbors would turn their backs on those that appeared to have received favors from the conquering Americans. Nevertheless, she was too happy and wore the ensemble through the still decimated Ginza. She caught a photographer’s eye. She was asked to model. So she did. The photo series ended up in a magazine, a rarity as paper was still in short supply and very expensive. Another case of have versus have nots. 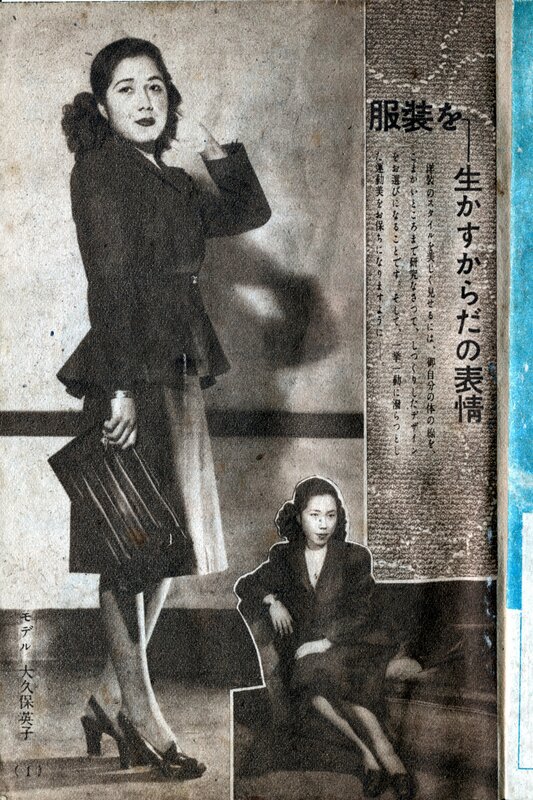 Although the magazine now is extremely fragile (the paper quality was very poor), it is one of Aunt Eiko’s prized possessions. I was so worried the pages would fall apart if I opened up the magazine to scan the pages. Its odor was typical of old newsprint. But somehow, the pages stayed together. B&W original print. 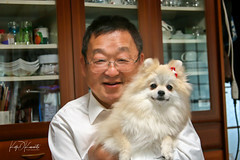 Aunt Eiko does not recall why the bottom left corner is cut off. Taken in 1947. Original B&W. 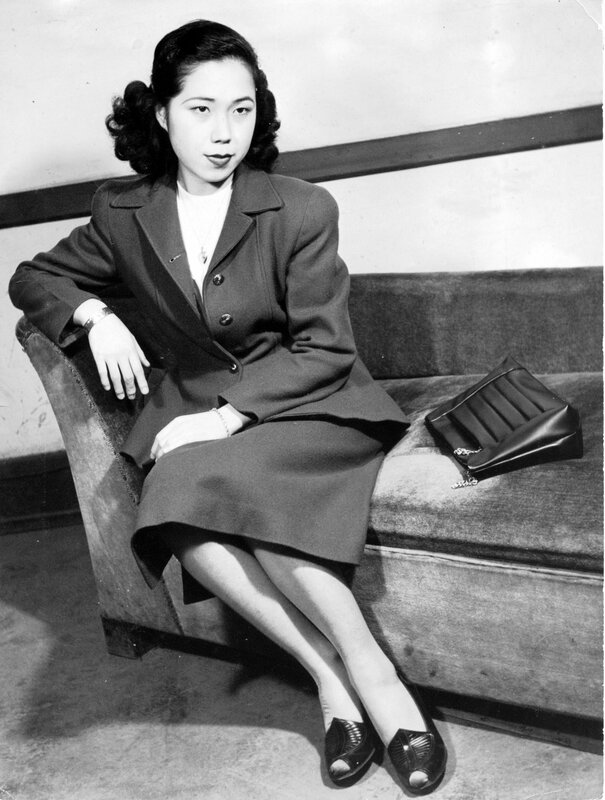 Note the handbag and shoes sent to her by Taro from Livingston, CA. 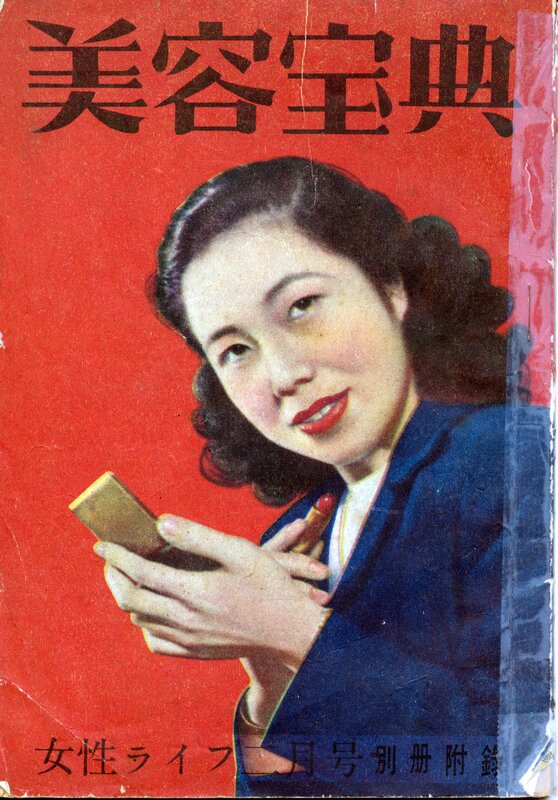 Aunt Eiko cannot recall why the actual magazine took about a year to be issued. 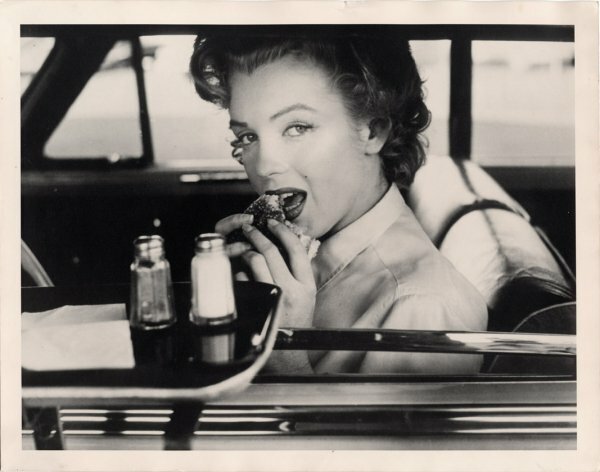 But what is the connection between a blue dress, food and post-war Japan? 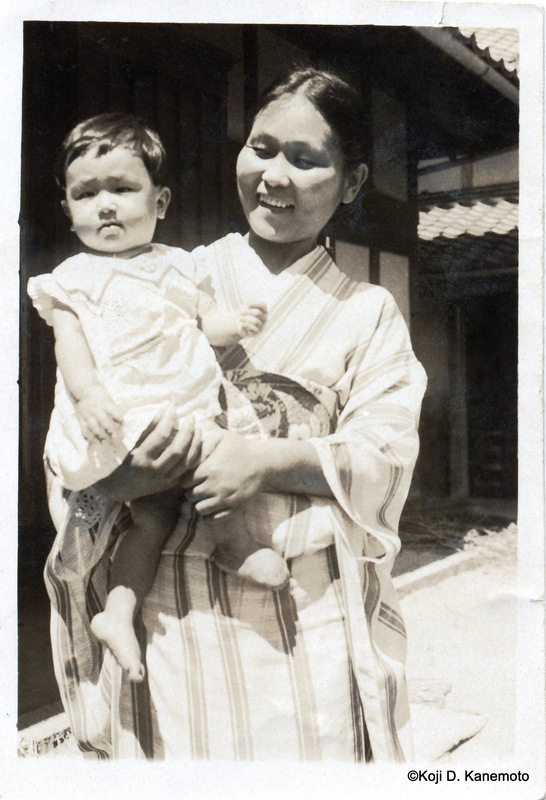 The photographer paid her with “ohagi”. Out of his food ration. Made out of precious rice and beans. 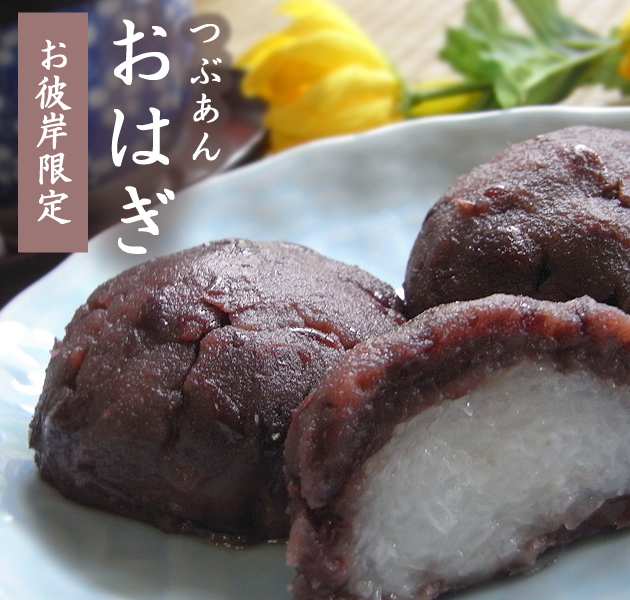 Ohagi. Rice covered with a sweetened bean paste.